CORPUS CHRISTI — Stranger Danger: our kids know the drill about don't talk to strangers. If someone tries to talk to them, they know to run away shouting "Stranger!" The safety of our children is parent's top concern, and we work hard to keep them safe whenever they are outside of the house. But what about inside? The Internet is the portal for millions of strangers to gain access to your family every minute of every day, and we as parents are learning that we must be just as vigilant about Stranger Danger on the computer as we ever were at the park. The Texas Attorney General's office recently released a consumer alert to parents concerning the Web site Chatroulette.com. This is a Web site where users with webcams are randomly paired with strangers for a video chat. In an undercover investigation by their Cyber Crimes Unit, nearly half of the randomly selected users encountered by Cyber Crimes investigators immediately exposed themselves and conducted sexually explicit acts on camera. And anyone can log in to the site, although users are supposed to be 16 years old- so the Texas Attorney General warns parents to prohibit all children from accessing the site, whose address is www.chatroulette.com. This is not the only site that poses a threat, however. 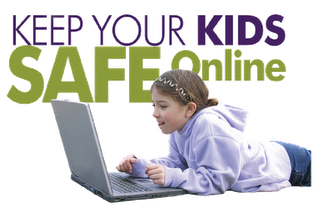 Even sites with parental controls in place and restrictions on what users can say to each other can still be dangerous when kids don't know the inherent dangers in Internet use. Information. Make sure your kids know that anything they share online becomes public knowledge and could follow them to job interviews or anything else in life. Know your options as a parent. You can delete information that your child has put on a site, or report a site at ftc.gov/complaint. Kids use a variety of ways besides the computer to get online. Cell phones and gaming devices are popular means. Any limits you set on the computer should also be set on these devices. Make family rules and write them down near the computer so it is clear what is allowed and what is not. Technology is a necessary part of our daily lives, and this will not change. Our children will continue to grow up in a technologically-saturated environment, and the Internet can be a fun and useful tool for kids as long as they are savvy to the dangers that lie within.